← Government strategy for England’s Civil Society: ‘…building a future that works for everyone’ – a first in 15 years! 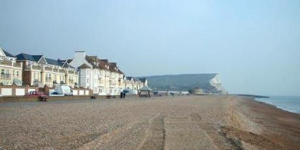 The House of Lords Select Committee on Regenerating Seaside Towns and Communities has invited written submissions to its inquiry, with the deadline for submissions of written evidence is 1pm on Tuesday 9 October 2018. Lord Bassam of Brighton, Chairman of the Committee, said: ‘Seaside towns and communities face a range of complex challenges. Our Committee will explore issues such as housing, transport, education, health and the local economy. We want to find out what the problems are and how they can be solved. ‘We also want to look at ‘what works’ as a regeneration strategy and how we can ensure the benefits that come from regeneration can be better shared so that local people don’t feel excluded from rising prosperity and growth. The call for written evidence contains 16 questions and can be found via the link at the top of this page.